This is one of the first projects I made from a pallet. It's basically a project born from walking around the hardware store and trying to figure out something unique to build. This is a great starter project because it's useful, stylish, and provides a great sense of accomplishment. Have fun! 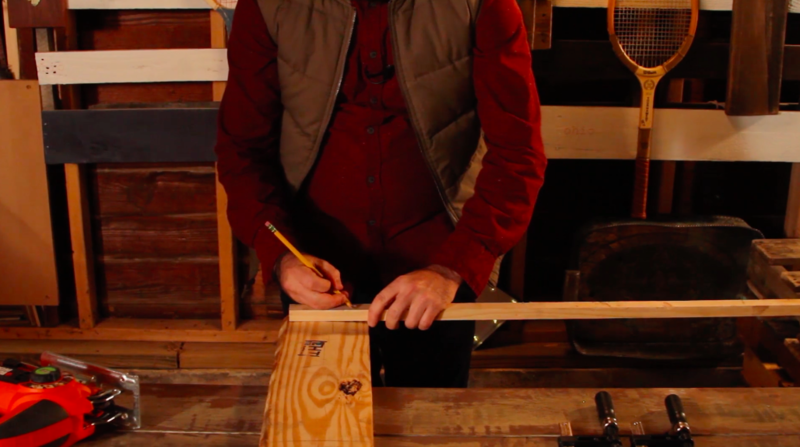 After you've assembled all the tools in the beginning of the video, the first step of this project is to cut your wood to size. 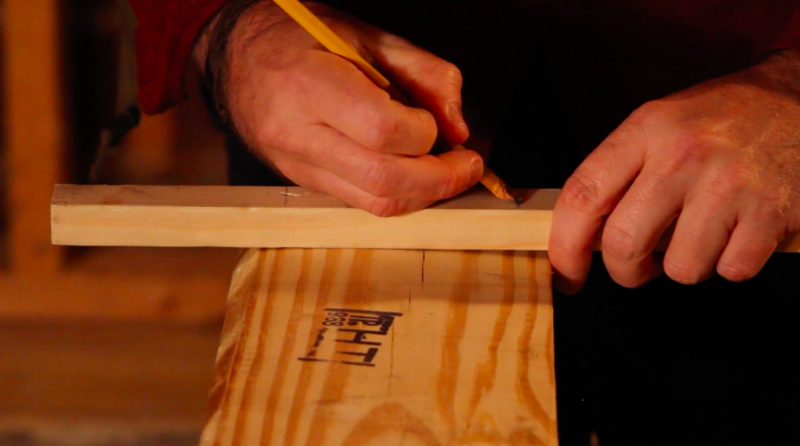 The primary base for the light is just a pallet board, which you can cut to any length. 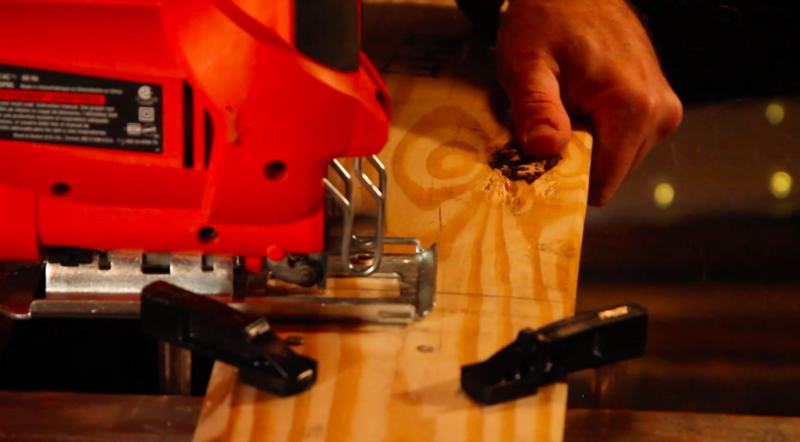 For the "feet"​ you'll want to use a 1x1 trim board. 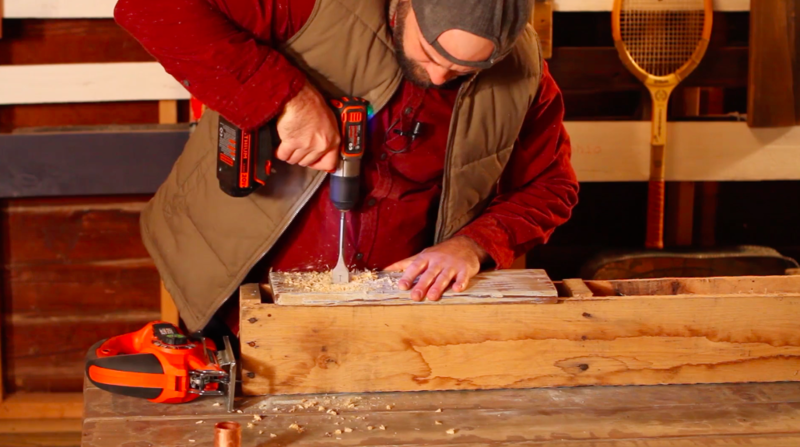 To make the feet, start by making sure your feet aren't quite as wide as your pallet board. As you can see below, you should use a pencil to mark your cuts on the feet. As mentioned earlier, the width of the pallet board is ultimately up to you - since this is really a decorative piece that you can use on a mantle, desk etc. Our lamp base was about 14 inches wide, to give you an idea. 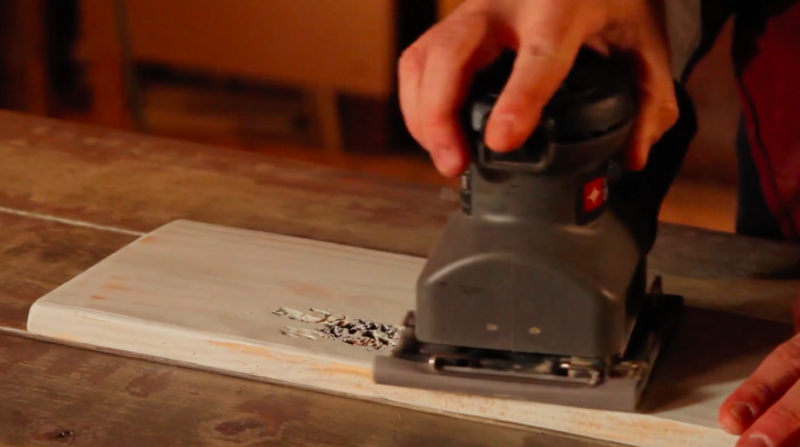 Tip: if you need help steadying your board, use clamps to secure it to a table before cutting. 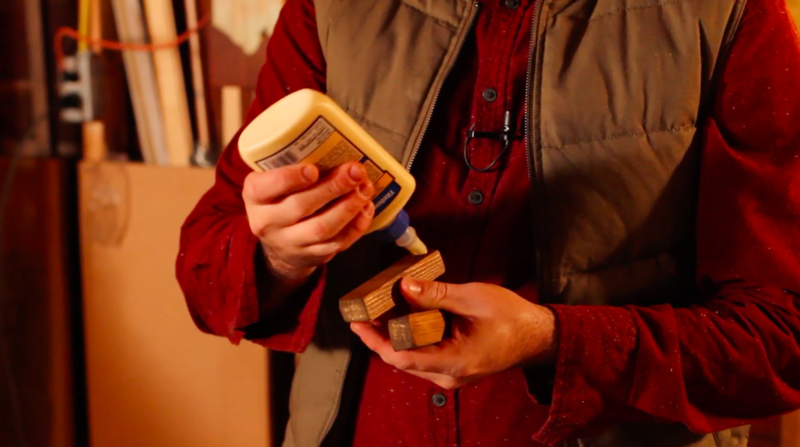 You don't want your lamp to have rough edges, so you need to do some light sanding. I used a palm sander for this, but any small sander (including sanding by hand) would do for this job. 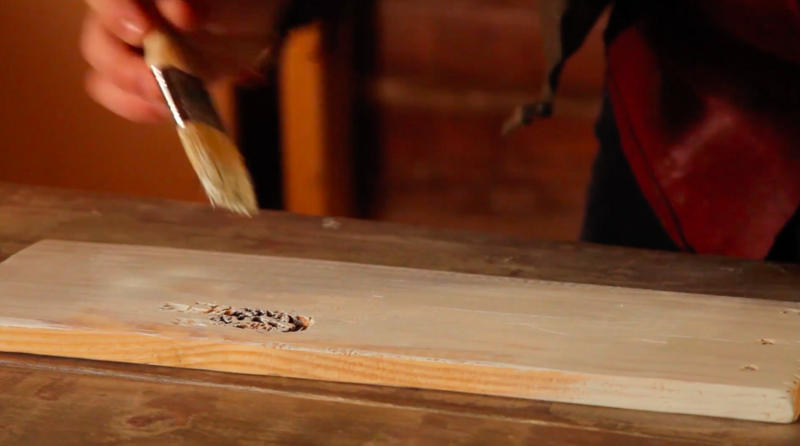 Next, sand the ends and edges of your pallet board. 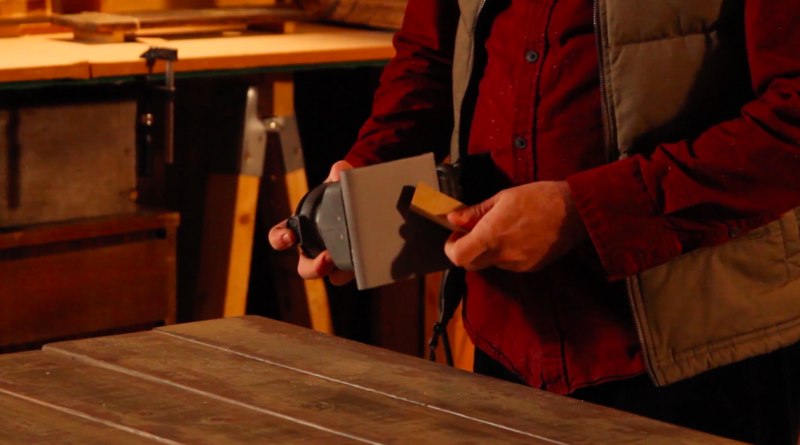 This should be a quick sanding - as you want to maintain a rustic look overall. Next, take some light gray paint (can be a paint sample if you don't have any on hand) and do a light coat of paint on the top and sides of your pallet board. 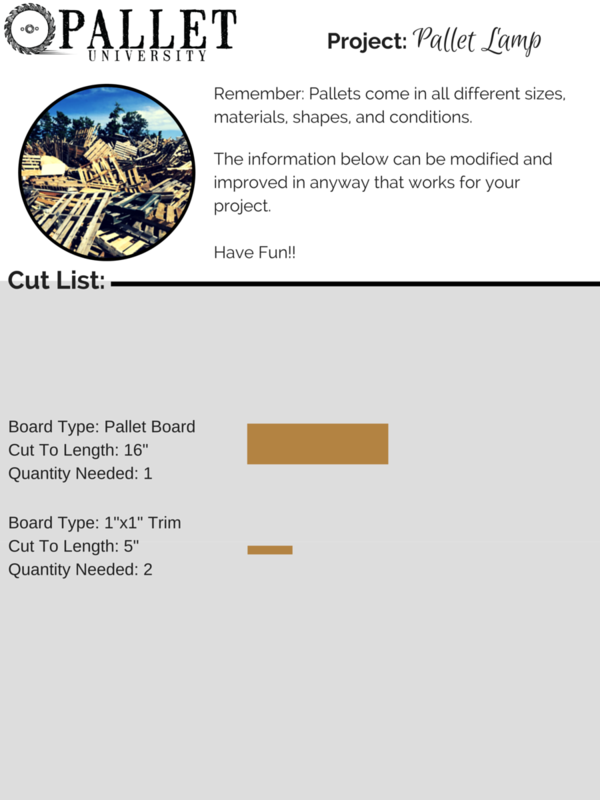 Going along with what I said about adding paint to help the rustic/aged feel of this project, take your palm sander and run it over your painted board. 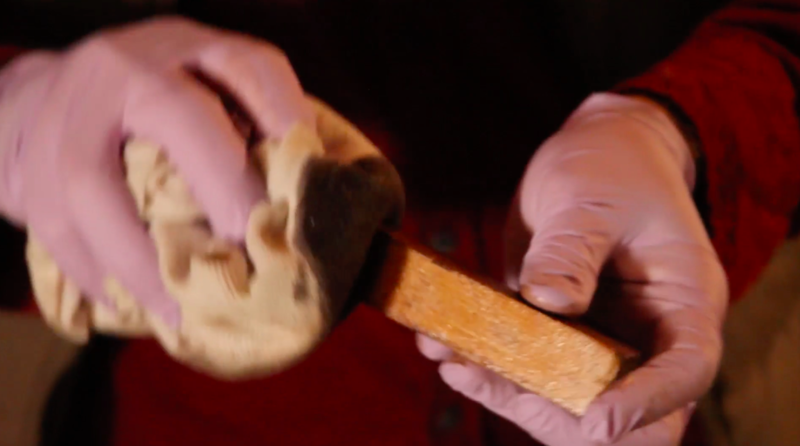 You'll just do this very lightly - trying to let some of the original wood grains show through a little bit. Now it's time to grab a rag and your stain. 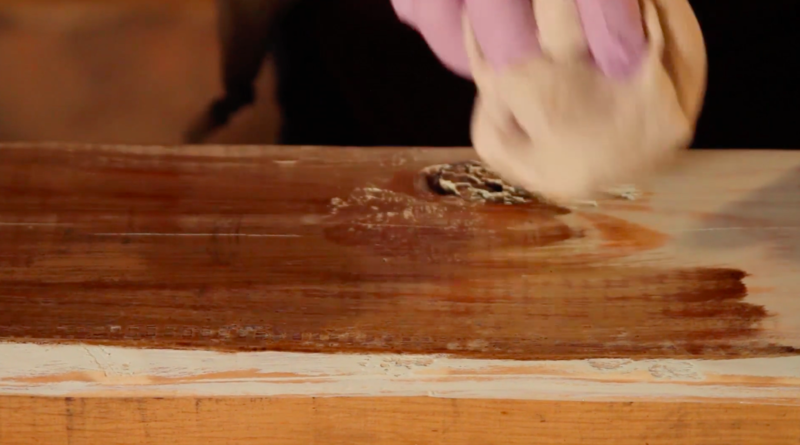 Let the stain dry for about 5 minutes, then go ahead and put on a second coat of stain on both the boards and the feet. Using a 1 inch drill bit, cut a hole for your light. Like with the length of your board, the placement is optional. However, I like having the light close to one end - so I drilled my hole about 3 inches from the edge of my pallet board. Next, you'll take your copper piece and screw it into the hole. Technically, there aren't grooves to screw into, but using a twisting motion will help you get a snug fit. 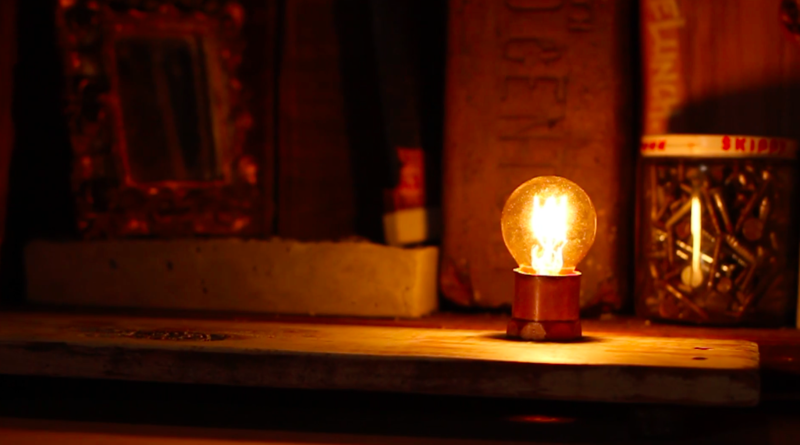 ​This copper serves a bit of a decorative purpose, as it will conceal the base of our light bulb. 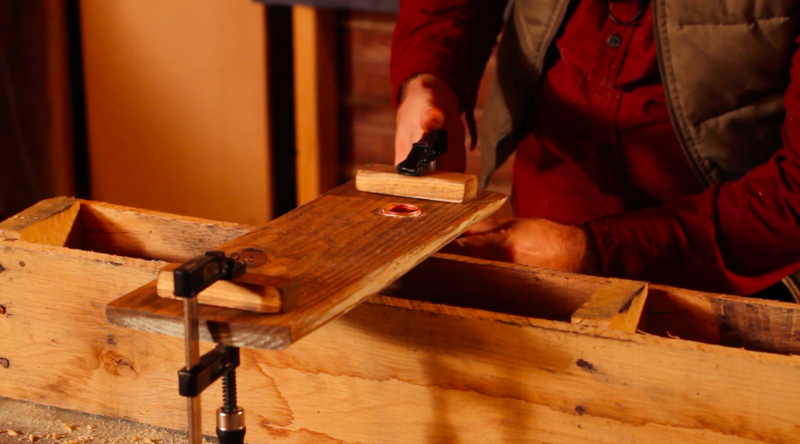 Add a generous bead of wood glue to each of your wood feet, and then clamp them to the bottom of your pallet board. 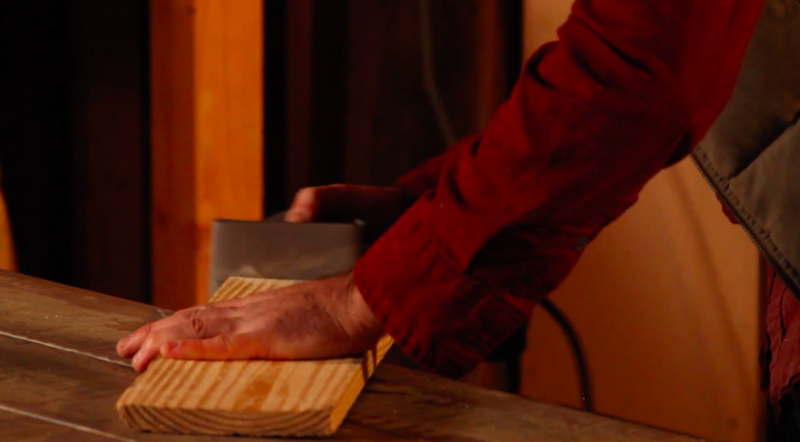 ​You want your feet to be about an inch and a half in from the outer edge of your board as shown below. 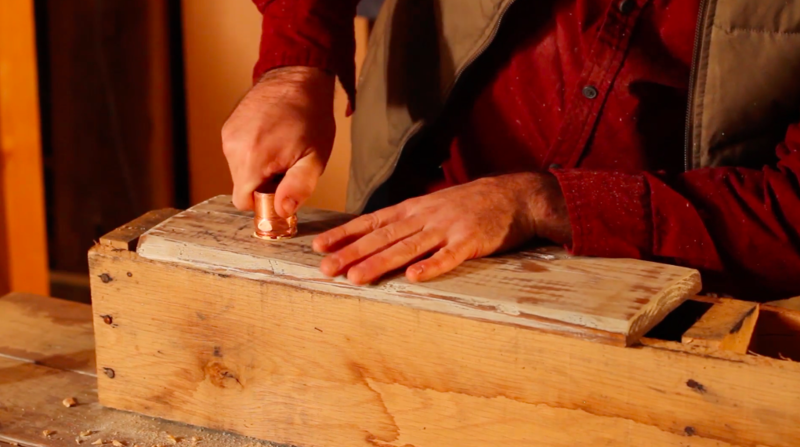 Note: Your feet should be on the bottom, which is the opposite side of the copper piece shown in the last step. 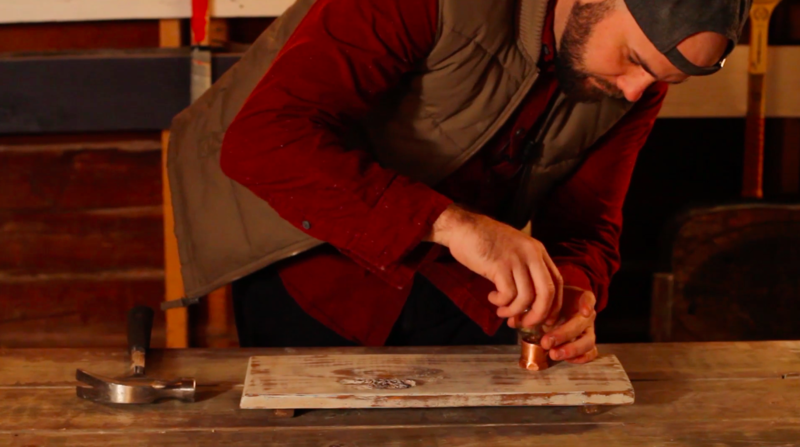 Your cord and plug will slide right through your copper piece from the bottom. 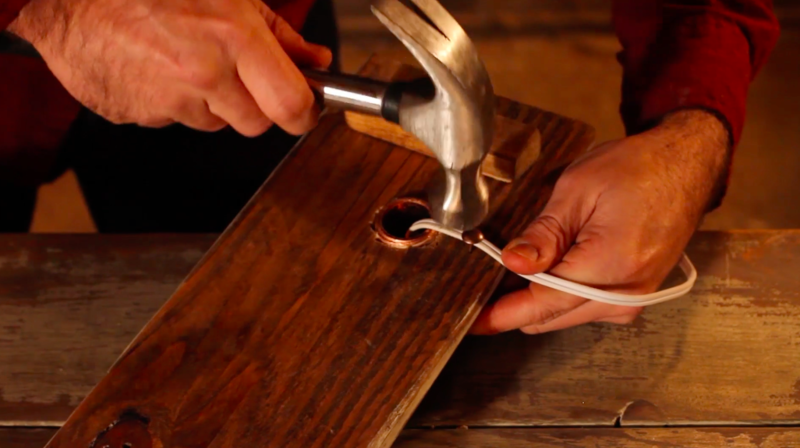 I'd suggest using a small tack and hammer to secure the cord to the bottom of your board.